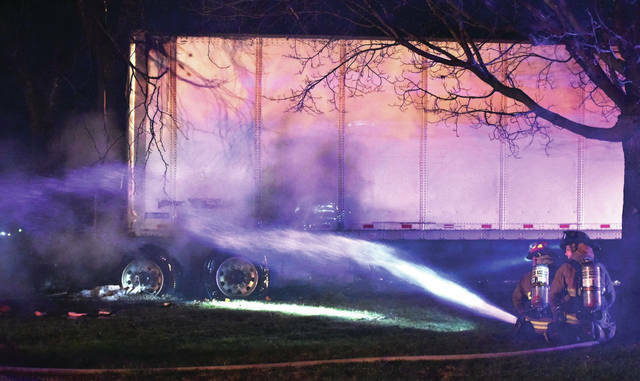 Jackson Center firefighters put out a semi cab fire on the 8000 block of state route 65 just south of Jackson Center. The vehicle left the road and stuck a tree rupturing its fuel tank. The driver was rescued by a man who was driving just behind them. The accident occurred around 10:30 p.m.. The Jackson Center police department is handling the investigation. The semi trailer was empty. 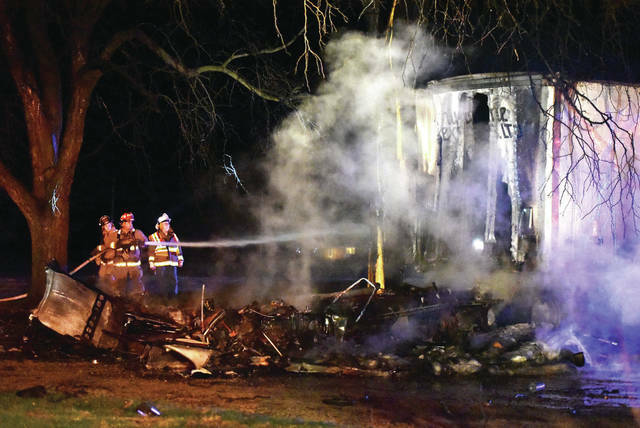 A Jackson Center firefighter looks over the remains of the semi cab. Jackson Center firefighters open the back of the semi trailer which was empty. Tracks can be seen where the semi trailer drove of the road and into a tree. Jackson Center firefighters pour water on the smouldering remains of the semi cab. The semi cab burned to the ground. 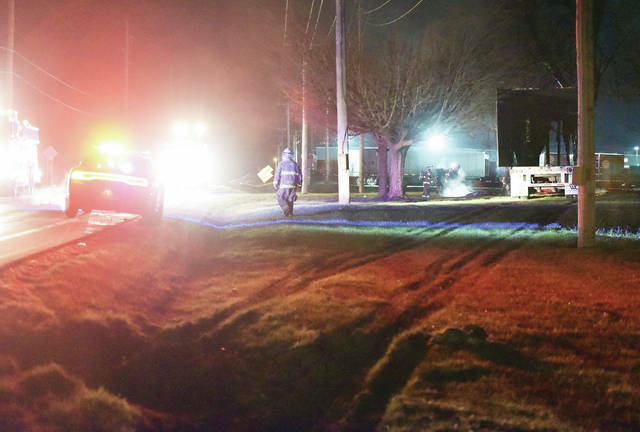 Jackson Center firefighters put out a semitrailer cab fire on the 18000 block of state route 65, just south of Jackson Center, on Saturday, April 6, around 10:30 p.m. The vehicle left the road and stuck a tree, rupturing its fuel tank. The semitrailer was empty. The driver was rescued by a man who was driving just behind them. Jackson Center Police, Anna Rescue and the Ohio State Highway Patrol (OSP) also responded to the crash. The crash remains under investigation by OSP. As of press time, no other information was available. 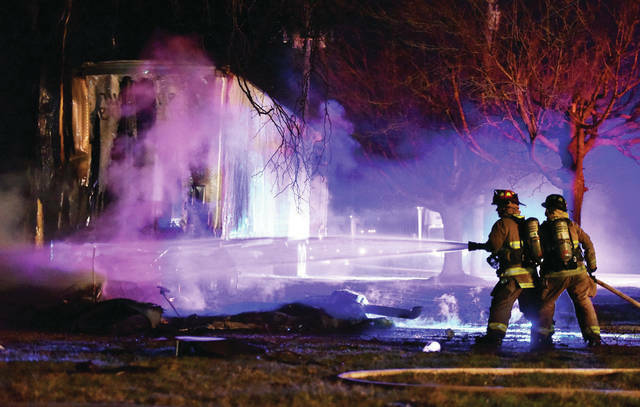 https://www.sidneydailynews.com/wp-content/uploads/sites/47/2019/04/web1_DSC_6432-2.jpgJackson Center firefighters put out a semi cab fire on the 8000 block of state route 65 just south of Jackson Center. The vehicle left the road and stuck a tree rupturing its fuel tank. The driver was rescued by a man who was driving just behind them. The accident occurred around 10:30 p.m.. The Jackson Center police department is handling the investigation. The semi trailer was empty. 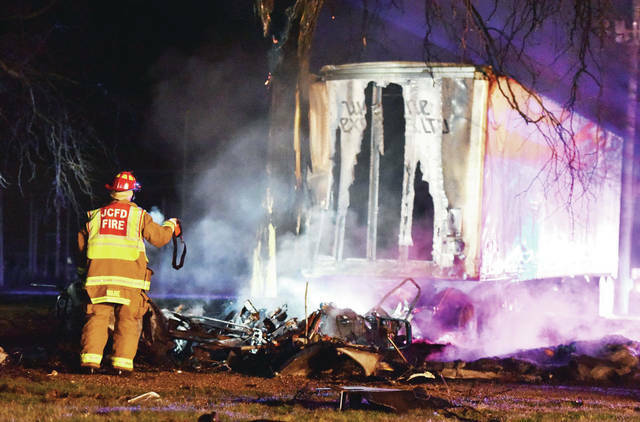 https://www.sidneydailynews.com/wp-content/uploads/sites/47/2019/04/web1_DSC_6254-2.jpgA Jackson Center firefighter looks over the remains of the semi cab. 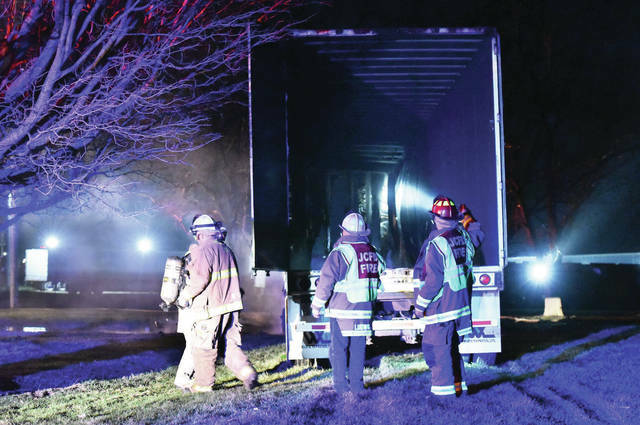 https://www.sidneydailynews.com/wp-content/uploads/sites/47/2019/04/web1_DSC_6284-2.jpgJackson Center firefighters open the back of the semi trailer which was empty. https://www.sidneydailynews.com/wp-content/uploads/sites/47/2019/04/web1_DSC_6574-2.jpgTracks can be seen where the semi trailer drove of the road and into a tree. https://www.sidneydailynews.com/wp-content/uploads/sites/47/2019/04/web1_DSC_6347-2.jpgJackson Center firefighters pour water on the smouldering remains of the semi cab. 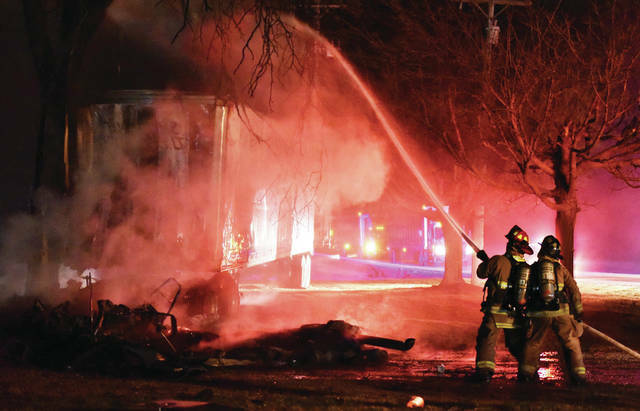 https://www.sidneydailynews.com/wp-content/uploads/sites/47/2019/04/web1_DSC_6541-2.jpgThe semi cab burned to the ground.